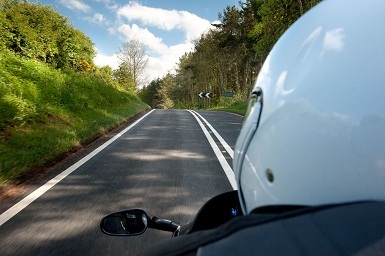 A transport company appealed against a decision that one of its employees was primarily liable for a road traffic accident in which a motorcyclist was seriously injured taking a left hand bend whilst rural riding. The motorcyclist had been riding along a single carriageway country road. As he approached a bend, a lorry appeared from the opposite direction and the motorcyclist's right leg struck the off side corner of the lorry. It was agreed speed was not a factor. The lane was just large enough for the lorry but regardless the driver allowed his vehicle to stray onto and beyond the centre line. At point of impact the lorry was slightly beyond the centre line. The Court of Appeal confirmed the lorry driver could not be criticised for taking a course that would keep him slightly out from the edge and there should have been no problem in the motorcyclist taking the “proper” line to have managed the bend without colliding with the lorry. Lorry Driver not at Fault! It was accepted the motorcyclist was a novice and inexperienced. It was confirmed that the view the vehicles would have had of each other was restricted by the bend, a change in elevation and a mature tree. The Motorcyclist accepted he could have been further over to his left. At first instance the lorry driver was found primarily liable for the accident and the motorcyclist was found 50% to blame. Overturning this decision the Appeal Court accepted that given the size of the lorry it was a counsel of perfection to hold the lorry driver should have been closer to his nearside. Motorcyclist’s case was dismissed. This is a bizarre decision and a most unhelpful one for motorcyclists. If you have been involved in an accident on a rural road, you need expert advice - contact Motorcycle Law Scotland on 0333 555 7782.